Alfaparf Yellow - Just Beauty Products, Inc.
Yellow by Alfaparf is a permanent cosmetic coloring cream with a low ammonia content. Color results are vibrant and true to tone and can gently lighten up to 5 levels of lift, covering gray hair perfectly. Also you will find excellent Conditioning Cream Relaxers and treatments for shine nourishing and very dry hair. Alfaparf Yellow There are 35 products. 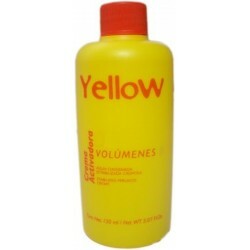 Yellow Aloetrix Permanent Hair Color 3.42 oz. 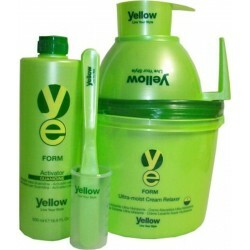 Yellow Aloetrix Permanent Hair Color 3.42 oz. 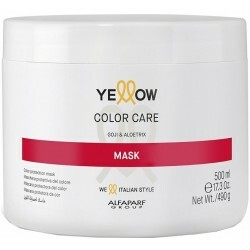 Yellow Aloetrix Permanent Hair Color is a permanent cosmetic coloring cream featuring low ammonia content to provide vibrant color result or gently lightening up to 5 levels of lift with Perfect Gray Hair Coverage. 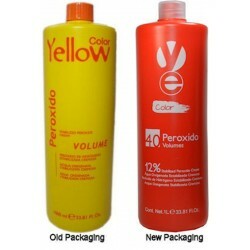 Yellow Stabilized Peroxide Cream 33.8 oz. Yellow Stabilized Peroxide Cream 150 ml./5.07 oz. 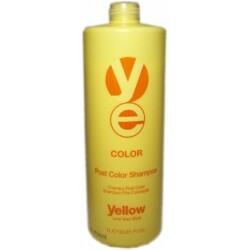 Yellow Post Color Shampoo 33.8 oz. 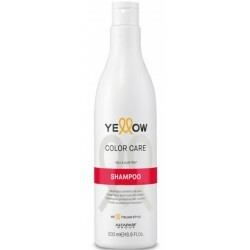 Yellow Post Color Shampoo 33.8 oz. Designed for used after coloring. Neutralizes the oxidation process and gently eliminates color residue. 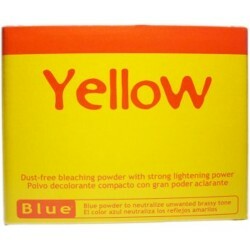 Yellow Blue Bleaching Powder 17.63 oz. Yellow Blue Bleaching Powder 17.63 oz. Dust-free bleaching powder with strong lightening power. Blue powder to neutralize unwanted brassy tone. For all hair types. Yellow Color Scalp Protector 12 Vials Of 13 ml. 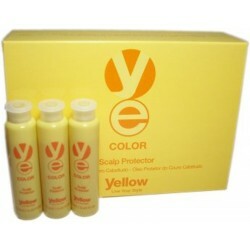 Yellow Color Scalp Protector 12 Vials Of 13 ml. Designed to protect the scalp during the coloring process. Aloe vera, together with camomile and propolis, create a effective soothing action which give maximum comfort throughout the hair color processing. Yellow Aloetrix Permanent Hair Color Tube Key. Yellow Aloetrix Permanent Hair Color Tube Key. Accurately squeezes out the correct ounces of color. 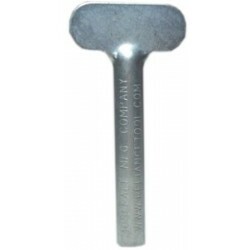 This tube key slides on the end of the color tube for squeezing the color evenly to the top. Yellow Form Conditioning Cream Relaxer REGULAR 1.8 kg / 63.49 oz. According to the diagnosis of the hair and the application time, Yellow Form allows you to obtain different types of straightness for all types of wavy, curly and frizzy hair! 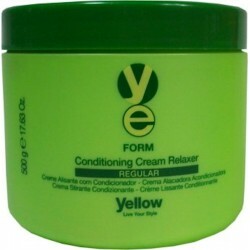 Yellow Form Conditioning Cream Relaxer REGULAR 500g /17.63oz. According to the diagnosis of the hair and the application time, Yellow Form allows you to obtain different types of straightness for all types of wavy, curly and frizzy hair! 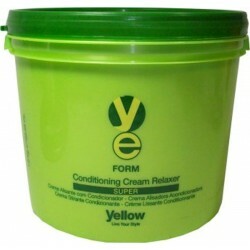 Yellow Form Conditioning Cream Relaxer SUPER 1.8 kg / 63.49 oz. For Naturally very frizzy hair. According to the diagnosis of the hair and the application time, Yellow Form allows you to obtain different types of straightness for all types of wavy, curly and frizzy hair! 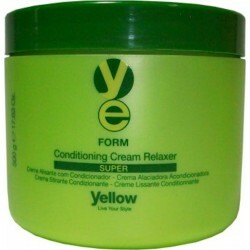 Yellow Form Conditioning Cream Relaxer SUPER 500g /17.63oz. For Naturally very frizzy hair. According to the diagnosis of the hair and the application time, Yellow Form allows you to obtain different types of straightness for all types of wavy, curly and frizzy hair! Yellow Form Ultra - Moist Cream Relaxer Guanidine Kit 1.8 Kg / 63.49 oz. Ideal for use on hair that has been treated (coloured or previously straightened). 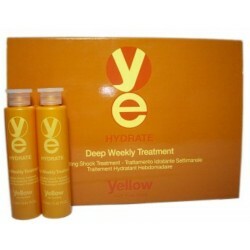 Yellow Hydrate Daily Shampoo 8.45 Oz. 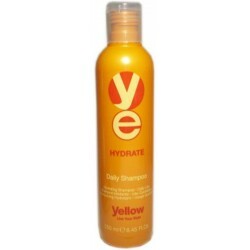 Yellow Hydrate Daily Shampoo 8.45 Oz. The first step of the hydration process. Gently cleanses and moisturizes, helping to curb the natural tendency toward dry hair. Yellow Hydrate Deep Weekly Treatment (6 vials of 0.43 Fl. Oz.) Deep acting, long lasting leave-in weekly shock treatment. An effective cocktail of moisturizing, nourishing substances, based on Aloe, Fig and Almond Oil Gel. 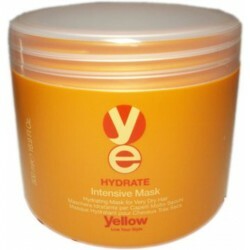 Yellow Hydrate Intensive Mask 16.9 Oz./500 ml. (For very dry hair). An authentic mask that draws on the moisturizing, restoring properties of the gel containing Aloe, Fig and Panthenol, to give hair a renewed cosmetic look and feel. 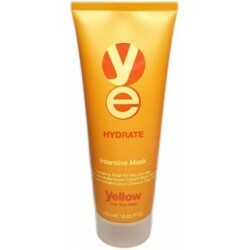 Yellow Hydrate Intensive Mask 8.45 Oz./250 ml. (For very dry hair). An authentic mask that draws on the moisturizing, restoring properties of the gel containing Aloe, Fig and Panthenol, to give hair a renewed cosmetic look and feel. 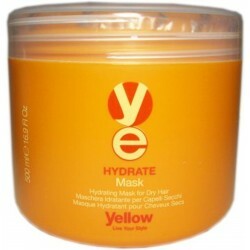 Yellow Hydrate Mask 16.9 Oz. /500 ml. (For dry hair). The combined action of Fig and Aloe Gel cares for the outermost part of the hair shaft, hydrating and nourishing it. 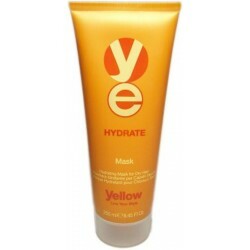 Yellow Hydrate Mask 8.45 Oz./250 ml. (For dry hair). The combined action of Fig and Aloe Gel cares for the outermost part of the hair shaft, hydrating and nourishing it. 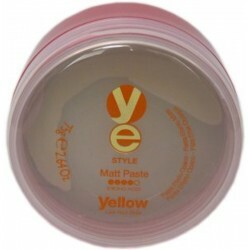 Yellow Hydrate Small Group of 4 For Dry Hair Ideal for dry and unruly hair. 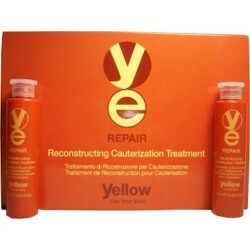 Yellow Repair Reconstructing Cauterization Treatment (Box: 6 Vials of 0.43 Oz.) Professional thermo-active treatment for seriously damaged and worn-out hair, which requires intense reconstruction. 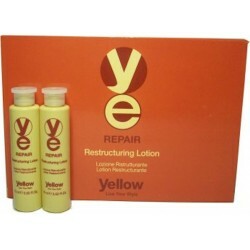 Yellow Repair Restructuring Lotion (6 Phials of 0.50 Oz.) Rinse-out shock treatment to repair very damaged and worn-out hair. 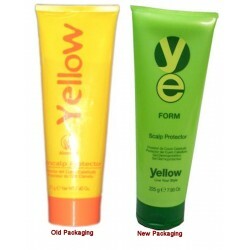 Yellow Repair Revitalizing Shampoo 250 ml. / 8.45 Oz. 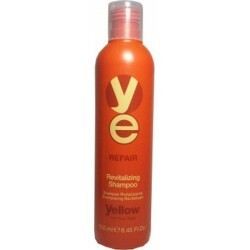 Yellow Repair Revitalizing Shampoo 250 ml. / 8.45 Oz. The reconstructing process begins with deep cleansing. Special reinforcing agents and emollients prepare the hair structure for the specialized, professional reconstruction process. Yellow Shine Daily Serum 1.7 oz. 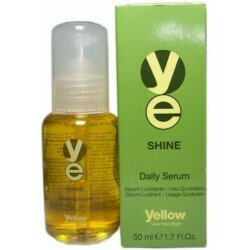 Yellow Shine Daily Serum 1.7 oz. An actual polish for the hair that gives it exceptional and immediate brilliance. 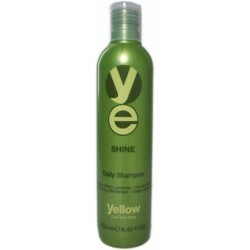 Yellow Shine Daily Shampoo 250 ml./ 8.45 oz. Cleanses gently and gives hair a new brilliance thanks to Photoreflective Micro-particles (present in Olive Oil). 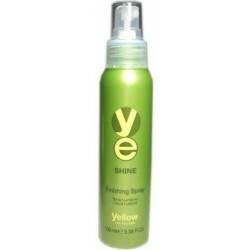 Yellow Shine Finishing Spray 3.38 Oz./100 ml. Yellow Shine Finishing Spray 3.38 Oz./100 ml. Maximizes the hair's luminosity and leaves a light shield to protect from humidity. 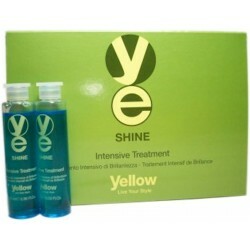 Yellow Shine Intensive Treatment (6 Vials of 0.50 Fl Oz.) Perfectly closes the hair cuticle, to make hair seem instantly brighter. 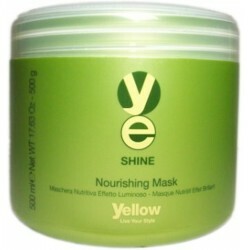 Yellow Shine Nourishing Mask 17.63 Oz./500 ml. Its rich formula, with a base of Olive Oil and Shea Butter, has been formulated to restore the nutrients to the hair fiber, adding strength and beauty. 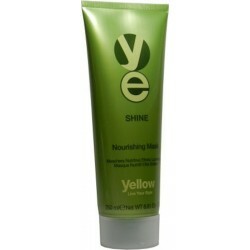 Yellow Shine Nourishing Mask 250 ml/8.81 oz. Its rich formula, with a base of Olive Oil and Shea Butter, has been formulated to restore the nutrients to the hair fiber, adding strength and beauty. Yellow Style Matt Paste Strong Hold 75g. / 2.64 oz. Separates and defines. Molds and tousles. Strong hold at the roots, matt effect along the hair shaft and to the ends. Contains UV filters. 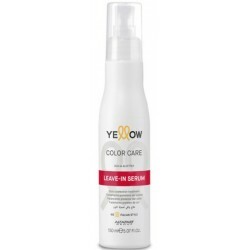 Yellow Style Sleek Cream Light Hold 150 ml./ 5.07 oz. 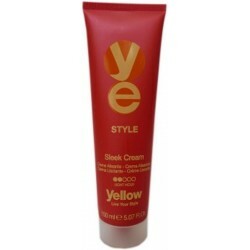 Yellow Style Sleek Cream Light Hold 150 ml./ 5.07 oz. This thermal-protective cream is ideal for creating a straight style. Its formula conditions the hair, makes brushing easier and guarantees a long-lasting anti-frizz effect. Color Care Shampoo: The perfect ally for color treated hair, both in the salon and at home!